Anderson Township Homes for Sale – Anderson Township is an exciting suburb directly East of downtown Cincinnati! The first suburb outside of the city, Anderson has the same suburban perks such as areas like Kings and Loveland, but at a much shorter distance to downtown! Beechmont Ave hosts a plethora of businesses, a major perk for residents looking for career opportunities. Also, The Towne Centre is an outdoor mall and hub that offers fun for families and additional job opportunities. Anderson allows for quick access to I-275, making the commute downtown a breeze! What makes Anderson exceptional is the close proximity to the excitement and festivities of Cincinnati yet has beautiful hills, trees and green space. Anderson Township has lots of real estate to offer potential home buyers. Made up of mainly older homes that have been renovated, the average sales price in Anderson Township is in the upper 300k ranges. The overall atmosphere within communities is warm and inviting with excellent curb appeal. Mostly residential, downtown is the highlight of this great city. School systems are raved about and commuting to and from town is simple! If you’re searching for a Cincinnati suburb with theaters, parks, lots of fine dining and shopping options yet want a home that’s nestled away in a close-knit neighborhood, Anderson Township is a great place to start looking! 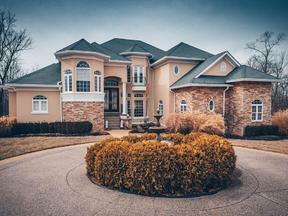 Search below for Anderson Township homes for sale. Contact our sales team for more information about Anderson Township homes for sale.